At WDP, your position is more than just a job, and your path to principal is only limited by your own motivation. Almost our entire management team began their careers with WDP at entry-level positions and have progressed to lead the company. WDP is a place where you can establish your career, find a specialization or niche that you are passionate about, and where you can grow with the firm. Your professional and personal success is our success. We place an emphasis on education and proper training, in the office and out in the field. Due to the nature of our work, each day varies from the last. Our entry-level engineers gain hands-on experience in all specialties by working alongside each project manager during their initial years at the firm. Our experienced engineers are encouraged to become involved with professional education programs as well as industry organizations and committees. 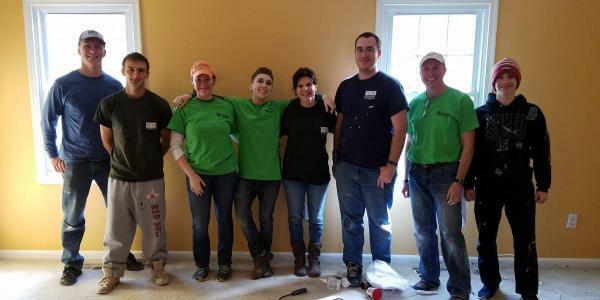 WDP Staff Volunteer with Prince William County Habitat for Humanity. Our nationally-recognized expertise has opened doors to projects nationwide, but we operate like a small family business, genuinely caring for the well-being of our staff. We strive to make them feel appreciated and involve them in developing policies and procedures with real impact through participation in our Employee Interaction and ESOP Communication Committees. WDP also cares about the communities where we live and work and encourages staff to participate in community-service activities. “... Whether it is solving existing problems or helping mitigate the potential for future problems, it is really rewarding working with a variety of people to develop functional solutions. And I really enjoy that the nature of my job gives me a unique perspective that I can bring to the table." To view the positions we are currently accepting applications/resumes for, please click here.